When you first start your food blog you’re full of passion for the recipes you’re creating and the idea of sharing them with others. It’s a great place to be. But it doesn’t take long before you learn about search engine optimization, affectionately known as SEO, and keywords, and all these technical terms. The next thing you know you can find yourself so involved in the tech side of blogging that you begin to overthink things too much. It can definitely be a kill joy to your passion. SEO is a popular topic with food bloggers. I talked with Hauke Fox about SEO for food bloggers. And Amber Bracegirdle has an important message about SEO as well: SEO doesn’t have to be hard! 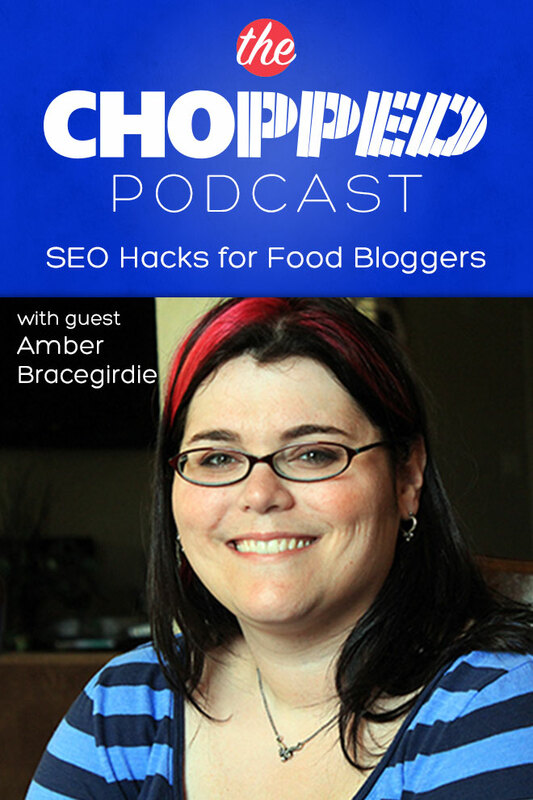 She’s on the podcast today talking about SEO Hacks for Food Bloggers. 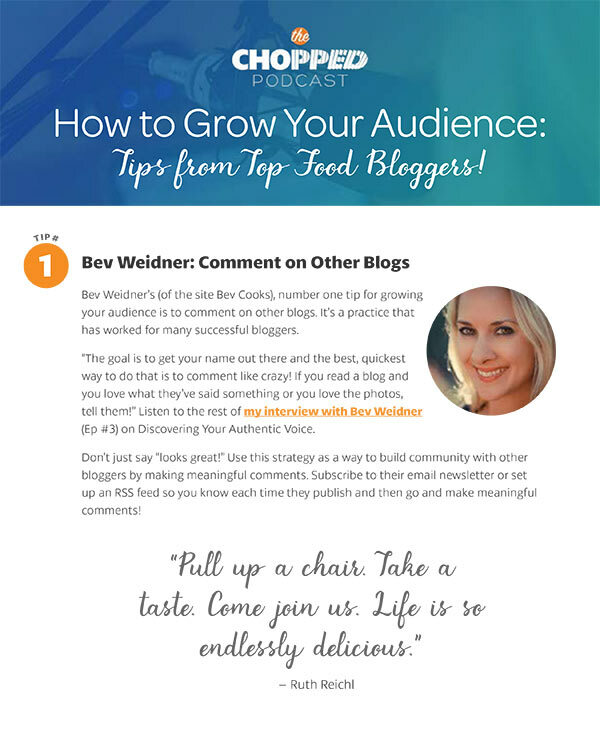 Listen in and bring the joy back to your food blog! If you’ve felt a little mired down in the muck otherwise known as SEO, today’s guest, Amber Bracegirdle has a message for you, SEO doesn’t have to be that hard. A food blog has a lot of moving pieces and Amber breaks it down a little to help bloggers have a better understand of the things we can do to make our site more SEO-friendly. Amber encourages finding ways to naturally tie old content into new content, which can make the writing a lot easier as well. She also encourages bloggers to consider their old content. Finding ways to breathe new life into old content — by linking to it in a new post, including it in a roundup, or even republishing it into your feed — can be a great way of helping you keep today’s content fresh. Amber also talks about the importance of passion and why you should be including this in your blog. If you’ve found the best thing since sliced bread, but you’re a little embarrassed to be talking about sliced bread, get over it! That’s Amber’s approach and it’s also the way she coaches the contributors at Food Fanatic as well. Amber also shares some of her favorite blogging tips as well. Learn more about SEO Hacks for Food Bloggers today! How Amber’s outspoken ways shaped her future! Have you ever heard “Good Content Rules” and wondered what that means? Amber gives you some ideas of what that means. Curious about whether or not to syndicate your content? Amber has some great advice on this! Confused about keyword tools? Amber has a great tip for you. Give a shout-out to Amber and connect with her via Twitter and Instagram! You may also want to listen to Amy Lynn Andrews’ tips on SEO For Food Bloggers as well. Tickets for the 2015 Chopped Conference are available. You can also attend a Food Photography Workshop with Matt Armendariz or participate in the dynamic Food Blog Success Summit. Take your food blog to the next level…learn more and buy your tickets today! 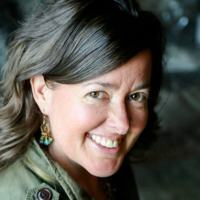 Next week’s podcast episode will feature Traci York and we’re talking about work-life balance as a food blogger. Subscribe today so you won’t miss it! Thanks again for having me, Marly! Truly appreciate it. I never know if I should say anything about typos or not, but always lean towards I would want someone pointing mine out so I could fix them. The bullet point with Amber’s Instagram and Twitter accounts has a typo with last week’s guest name instead of hers. Sorry if I’m annoying you can tell me so in person next week! Loved this week’s episode. Hey Amy, Thanks for letting me know. It’s kind of like that “salad in your teeth” thing. I’m always glad someone tells me rather than letting me go through a whole meal like that! I fixed the error. Thanks! I really enjoyed this episode. I learnt so much. I’m so glad, Gary! I agree with you too – Amber has so many great tips. I always learn a lot from her too.